Consumers looking for small all-wheel-drive SUVs are looking for value, but what are the best compact SUVs out there? You can find a couple at your nearest Subaru store. 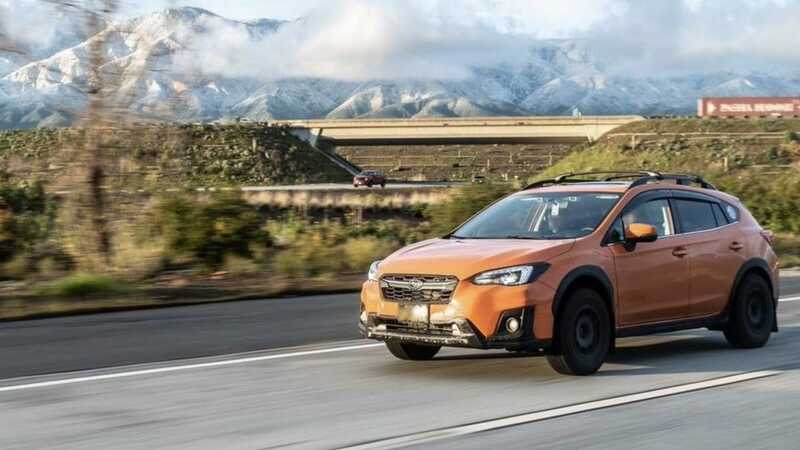 The brand has been getting lots of accolades for the newly-redesigned 2019 Forester SUV and now its stablemate Crosstrek getting recognition as well. Cnet.com has given both models their Best Compact SUVs For The Money award in 2019. The 2019 Subaru Crosstrek has a starting price of $21,895 and comes with Subaru’s Symmetrical all-wheel-drive system. It’s what makes the model popular in cold-weather states, but it also has a “go-anywhere” attitude making it perfect for those with active lifestyles. Its compact size makes it fuel efficient getting 27/33 city/highway mpg and 29 combined mpg. Safety is a biggie when it comes to Subaru. The second-generation Crosstrek comes with automatic emergency braking on all models, as well as adaptive cruise control, lane-departure warning and lane-keeping assist. Technology includes Apple CarPlay and Android Auto are standard across all trims. When it comes to value, Edmunds just came out with their Best Retained Value for 2019 list and the 2019 Subaru Crosstrek gets their award in the Compact SUV category. What does it mean for consumers? The small SUV has the highest projected private-party residual value five years after launch better than any other compact SUV. Best In Retained Value also means Crosstrek will help you maximize your money at trade-in and the compact SUV tends to have lower monthly lease payments than other cars. You can lease a 2019 Crosstrek 2.0i trim with a 6-speed manual for $245/month now through April 30, 2019. The fifth-generation Subaru Forester is the flagship model for the brand. It’s bigger than Crosstrek and can haul more cargo. It has a starting price of $24,295 and also comes standard with all-wheel-drive and EyeSight driver assist safety system that acts as a second pair of eyes. Forester is also fuel efficient getting 26/33 city/highway mpg and 29 combined mpg. Other compact SUVs you might want to check out that made the Best Small SUV for the Money list, were the Land Rover Range Rover Velar, Porsche Macan, Honda CR-V, Volkswagen Tiguan, Mazda CX-5, Mazda CX-3, Volvo XC40, and Nissan Kicks. Subaru isn’t the only automaker making the best compact SUVs for the money, but the 2019 Crosstrek and new 2019 Forester and are two models for consumers to put on their short list.